This blog fuses 12 step wisdom with Christian living from the perspective of a Theologically Progressive, Bi-Polar, Alcoholic, Female Pastor of the United Methodist Church. Let's begin with "what is salvation." For me, salvation is being in union with the Divine. Being connected to the Source. 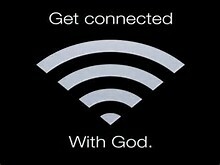 The opposite of that is being disconnected from God. When I'm connected, I experience a joy and a peace that is "heavenly," and when I'm disconnected, I experience despair and hopelessness that is "hellish." Of course there are shades of being in-between these two extremes, but basically I believe that heaven and hell are here, now, on this earth. I'm not interested in the afterlife because I trust that God is a loving God and all will be well for everything and everyone that God creates. 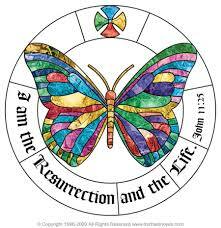 Those who are seeking "recovery" also seek a union with the Divine. It is one's Higher Power that directs us, protects us, and inspires us. Last night I attended an excellent AA meeting where we focused on how God was alive and at work in our lives. Being in recovery means that we put God first and foremost before all things. As I work to heal from my addictions, I spend a WHOLE LOT MORE TIME with my Higher Power than I ever did before. You'd think that as a pastor I would be pretty well connected. Well, I've got news: pastor's are people too, and we are just as susceptible to disconnection as any other human being on earth. I lost myself as my disease progressed, but now, I feel that I am coming back to my True Self and finding my voice. For me, it has been through my willingness to be transparent and vulnerable that I have started to find the woman that God intended me to be. So I will continue to work on my recovery/salvation because I know that it is only through God that all things are possible, including my sobriety. Taking the wisdom from 12 step groups and applying it to our churches today. We can learn an awful lot from those in recovery. Let us all listen and learn.